As with any bereavement the death of a much loved pet can be devastating and an enormous loss to us. Our pets become very special companions, a family member, a guide or much needed support, a best friend or soul mate. To lose such a special being can be the same experience as losing a person, it is not only heart breaking, sad, painful and devastating but can also be very hard to cope with and the effect it can have on us can be unbearable. With any bereavement it is important to have someone to talk to who understands exactly what you are going through, how you are feeling and what the loss of your pet has meant to you. Support is available for anyone who has lost their loving companion so please dont suffer in silence and feel you are alone! 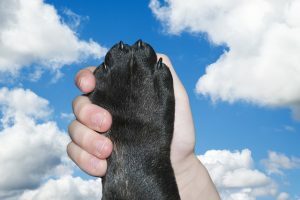 Here you can speak with a qualified pet bereavement counsellor who is ready to listen and help you through the pain and sadness you are going through. Online counselling in the comfort of your own home from an experienced friendly and professional pet bereavement counsellor!